The Internet has changed the world from one where information was scarce to one where there is an overabundance of it. This change has had a significant impact on the buying process. Now, buyers are doing their own research and ignoring incoming messages. The onus is on any business to think about demand generation and marketing strategies that generate the right leads and opportunities for their sales teams. The Internet and the proliferation of smart phones have fueled the rapid shift away from personal contact, to digital interactions. Unfortunately, many companies competing in the B2B space are still using old-style disruptive demand generation techniques. Some still believe that their sales force has to speak to prospects to educate them, while others still use disruptive marketing, like email blasts, cold calling, and telemarketing to reach their prospects. All of these methods assume that the buying process still revolves around companies targeting and interrupting prospects who may not be interested in or ready to buy. Prospects have the tools and desire to hide from even the most determined target marketing and sales schemes. Marketers and sales teams need their own set of inbound marketing tools in order to gain insight into buyer behavior and to get the upper hand. Please review the differences between inbound marketing and interruption marketing and let us know where you stand on the topic. As an extra bonus, download the eBook that unravels the mysteries of Inbound Marketing with expert tips for beginners: Get the free Inbound Marketing Guide for Newbies Now! 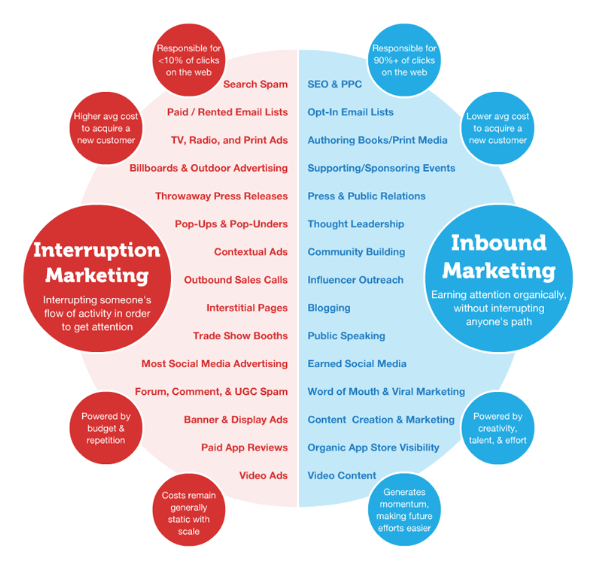 The following graphic by Larry Kim of Wordstream does a great job of comparing Inbound versus Interruption Marketing. It is nice because it simply lays out the contrast between styles. Just ask yourself, what natural response does each of these techniques elicit? If you are like me, then you want control of when and where you get information. What's more, as companies are learning how to behave, the contrast between good behavior and bad just makes you want to run away from the ill behaved companies and brands. Nurture versus Annoyance: With Inbound Marketing you are able to nurture your relationship with the prospects not annoy them. It's like going to a party and being abrasive and aggressive. The attendees are generally polite, because that is the society we live in. But you know what is going through their mind. They just ignore you hoping you will go away. That is what happens when you use Interruption Marketing methods. 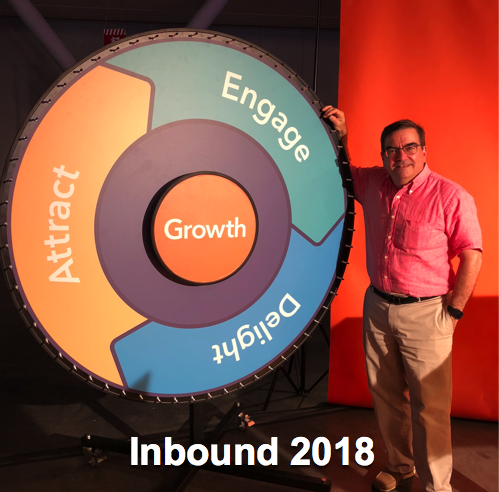 With Inbound Marketing, you nurture your relationship by providing content that helps the prospect complete their research with premium content. It is like being at that same party and offering to provide someone a drink or food. Nurturing relationships creates good will not destroying it like Interruption and annoyance does. 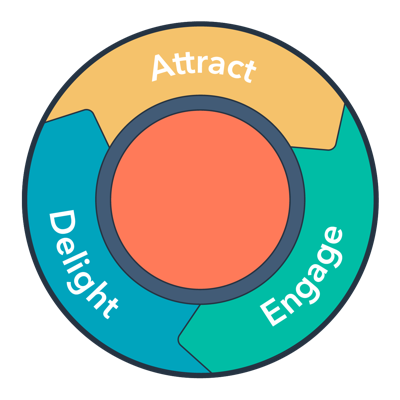 Attracting versus Repelling: Center to Inbound Marketing is the creation of content segment to each phase the buyer goes through when researching and buying a product. Websites that use Inbound techniques are much richer in content and as a result they rank higher in search engines for all of the things your buyer is interested in. Organic search is the best way to find and attract ready buyers. Traditional Interruption marketing pushes offers to buyers in hopes to catch them at the right time through expensive channels. If your outbound push method does not catch the buyer at the right time where they are looking, your result is wasted time and money. Depending if your push method fills their inbox or interrupts their access to a web site with a pop-up ad, these actions do more to aggravate and repel the buyer from your company. Build versus Breaking: Inbound methods have been shown to build loyalty and happy promoters of prospects and customers. 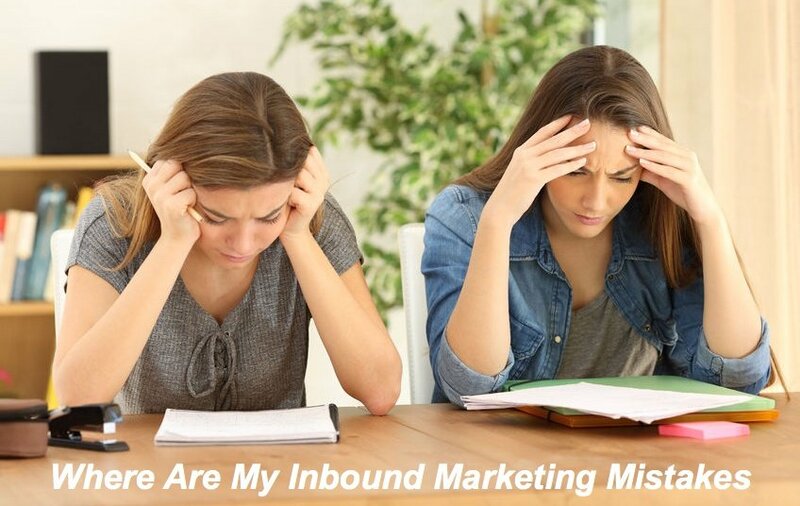 This is because inbound marketing does not end when the sale is complete. The rich content you created continues to server even after the purchase is complete. Frequently, a customer service question is used as a blog topic and customers who receive it become more educated experts on your product. When these experts engage with their peers they become promoters of your product and brand. This goodwill serves to build brand value. Interrupt marketing does little to help improve market perception for your product and can break your market perception. Social versus Repulsive: Inbound includes sharing the information you have amassed in the very social channels your customers participate. Additionally, the posts provide links back to your company. When a socially shared story is liked in Facebook or given a +1 in Google Plus, this helps search engines to determine which content has received approval of web visitors further increasing the rank for your content. Its like being the popular person in high school. Interrupt marketing is like being the class bully who is always trying to make others do their bidding. The bully with the largest muscles (or marketing budget in company terms) is perceived as repulsive or arrogant to the buyer. Evergreen versus Impulsive: Few Interruption marketing methods have sustainable value. Companies measure the results of these methods in fraction of percent conversion into leads for dollars spent. When the money stops flowing the leads stop, they are like impulses in time, creating short-duration impulses in value. Inbound Marketing content builds over time and as it does, the recurring value of the content is high. The traffic and leads generated increases over time since older content continues to attract prospects. In this way, each dollar invested in inbound has a very long half life, thus the resulting investment compounds over time. It is like an evergreen garden that continues to provide value. Just think about Inbound Marketing as an engine that continually works hard for your company. The fuel is the content that powers your website engine. Once you have established your Inbound Marketing platform, new investments in awareness campaigns act as rocket fuel. Your Inbound Marketing platform act as a net that attracts and captures your prospects using the content as bait. To learn about the Inbound Marketing methodology, then please download this free whitepaper titled "8 Steps to Attract Qualified Leads for your Business!"